After three years of researching, pattern writing, pattern ripping up and more pattern writing, I'm finally in a position to begin knitting the samples for my book The Vintage Shetland Project. 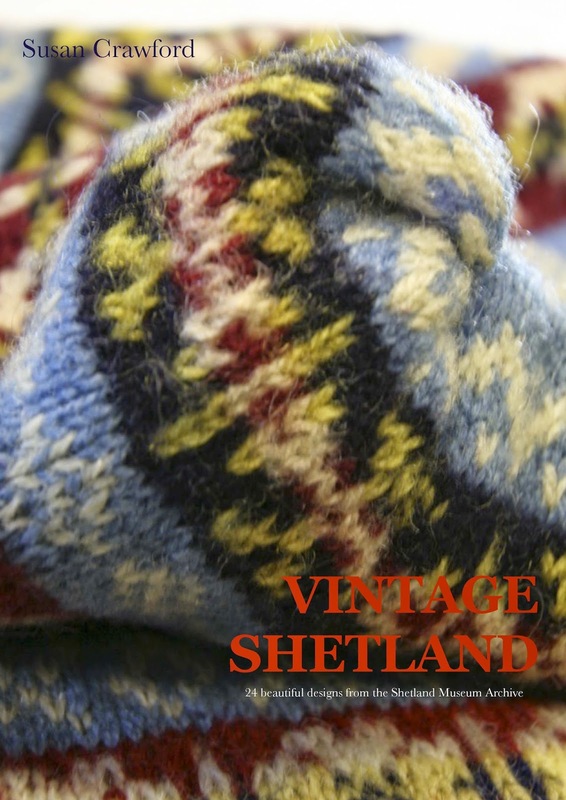 There are 25 designs to be knitted up - all reproductions of 25 vintage pieces from the Shetland Museum archives. There are a mixture of womens and mens clothing along with some accessories such as gloves, socks and hats. The majority of the pieces are fair isle along with two or three lace garments. They are a mixture of 3ply and 4ply weight items. I have found a wonderful model for the womens garments so can now get all the samples knitted up in the right size for the book's first photoshoot, which is taking place on a remote island off Shetland later this summer. I am knitting some of the garments myself but also need assistance with sample knitting. Most of the garments are knitted in the round with steeks where needed. All colour work is in easy readable chart format and the patterns will have been technically edited prior to knitting. I have several lovely knitters who have offered to help me with the knitting but for the timescale we are now working to, I am looking for a few more keen sample knitters. If you are interested in being involved please email me at susan@susancrawfordvintage.com using the subject title Sample Knitting. I really need experienced fair isle knitters on the whole although not all the pieces are particularly complex. I will send you full details of what's required in response to your emails. If you know of anyone else who you think may be interested do please pass the information on. This project has taken a long time to reach this point and it really is very, very exciting to finally be ready to start to see these amazing garments come back to life. I hope you don't mind that I have posted a link for you on Jess's Group on Ravelry?Good Luck with it all, especially your book launch.